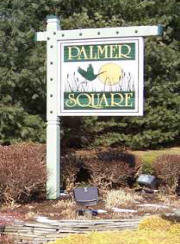 Palmer Square Holmdel is a townhouse / condo community with either 2 or 3 bedroom homes. There are 163 homes in this community. Built in the mid 1990’s, the homes for sale are a mixture of townhouses and garden style condos on 26.67 acres. Additionally, more homes built in 2001. And some of the homes in this pet friendly community have a fireplace. When looking for Homes in Palmer Square Holmdel For Sale, you are able to choose from 4 different models. The Bromley is a townhouse with two or three bedrooms. The Coventry is a condo, single level, with three bedrooms. The Devon is a a townhouse with two or three bedrooms. Home sizes range from 1400 plus square foot to almost 2,000 square foot. In addition, there are also a few affordable housing units. Holmdel is popular because it’s convenient to NYC transportation. Take your choice of either the Sea Streak ferry, buses or rail service from the New Jersey Transit North Jersey Coast Line. The nearest train station is just two miles away in Middletown. Dining ,shopping and The Jersey Shore are also minutes away. Many people choose to live in Holmdel because of the top rated school system. Holmdel Township Public Schools provide education for students in pre-kindergarten through twelfth grade. The district has four schools with an enrollment of over 3,000 students. High school students from Palmer Square are also eligible for enrollment in the Monmouth County Vocational School District. Their magnet schools provide fill time education in Health and Science, Law and Public Safety, Biotechnology, Communications, High Technology and Marine Sciences. Additionally, part time schools teach building trades, automotive and much more. There are also many private schools located nearby. Call 732-598-7700 to see the Homes in Palmer Square Holmdel For Sale.